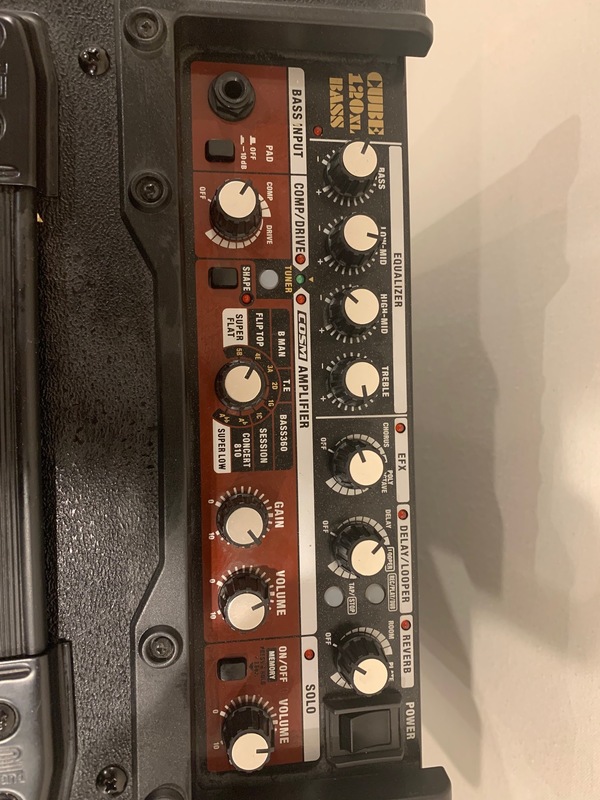 juanitoConTimba's review (This content has been automatically translated from French)" A little expensive for beginners"
transistor preamp + amp with digital effects. So in the end a lot of unnecessary buttons and connections but lacks the essential. The parametric EQ is not enough despite its limited four bands. I use only the compressor, but again a single setting, which does not provide a compressor worthy of the name. No adjustment of sustain, soft / hard knee. Between eq, modeling, contour and compression, you do get good sound. For my part I use it for small gigs and play with me. I live on music only and not enough rooms for 150 people. I bought it especially easy to carry it in small venues where among friends. Like our tester, I have a bad back and I must say that the single handle does not suit me ... I equipped with a skateboard. the DI output is also nice but it is up before compression and EQ, or it is placed after the entire floor. So the coup if you send it on a table without compression or good EQ and a good technician as well let the amp to fend for himself. If you send to the table position in the DI line, you no longer have the right to touch régalages volume after the balance if no one is to correct the console. 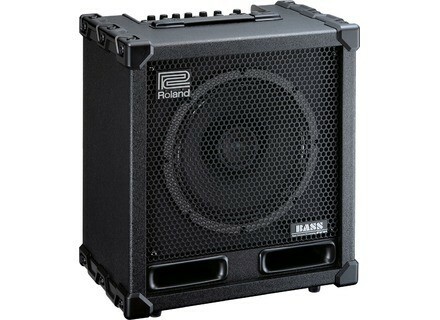 So, for small concerts, the DI and useless for big shows, there is little chance that you use this amp. In fact I was looking for a fairly neutral amp to amplify a baby bass (bass mini electro acoustic piezo pickup). That's why Roland seemed to correspond. The brand has for me an image of quality, fairly neutral. This type of amplifier may therefore amplify other types of conventional instruments. The seller told me to have sold to amplify a harp. But ... it would be nice to have a second channel for gigs, for singing and piano. I also regret that the low string sounds like it does need to average volume and not lower, which makes any Raplapla at home. But my instrument has little sustain on the register so I blame the amp. I expected a prampli basswitch RMI that I ordered and I hope that will change this. I must say that during a small concert outside a jazz bassist who has tried has been very pleased and surprised. 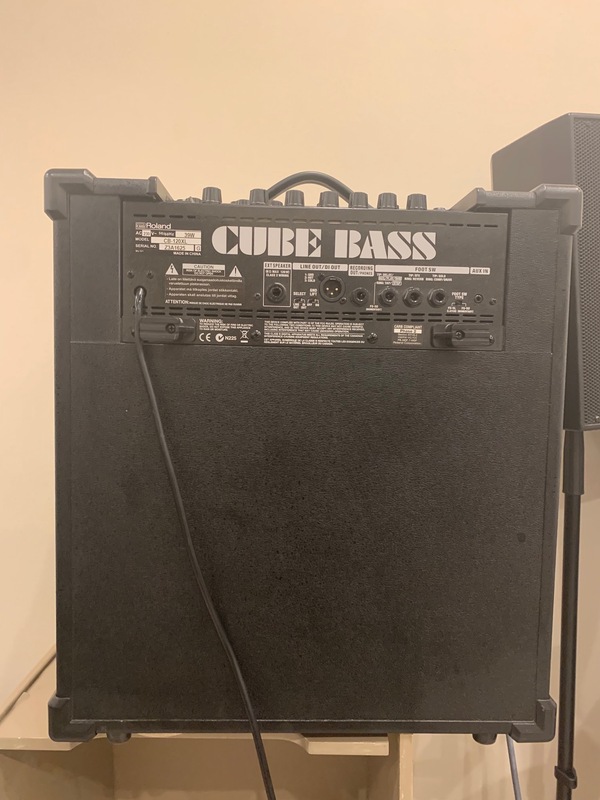 He used it as his vintage roland cube was HS! Like what it looks like this little cube 21st century has not ashamed of his predecessors, but again: why add all these gadgets without necessarily stopping the price come away the buyer's true needs. I have for nearly a year. I have not tried many models as not being in Paris, not the obvious choice to try. This is primarily a compact format that attracted me and the neutral side, despite the opportunities provided by the analog stage who knows how to forget. 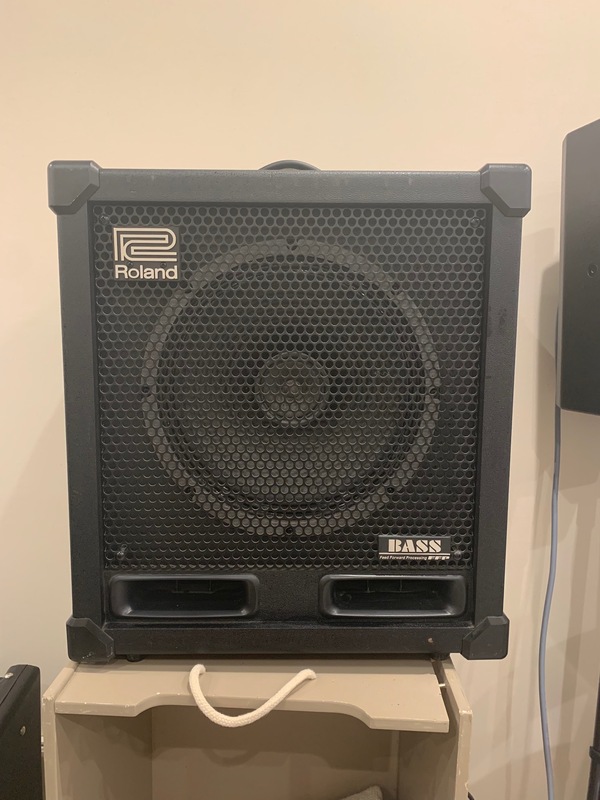 I think if I had not had a bassman 4x12 vintage Silverface at home that I bought secondhand but worth the price, I would have fallen for a cube or a markbass EAR, but then I still wanted to limit the budget. I must say that since I am Roland, I use less of Silverface to the side ... I avoid heating up the tube to play 10 minutes. A beginner will appreciate being able to explore the effects, but the cost is sealed. Roland actually reuses its digital technology and manufacturing in China and I think that without these effects, the price would not necessarily be much cheaper, but I find it a pity, with all those buttons and jacks a little better we would have a redefined amp really well at the same price. Finally for a beginner, I'd say it's not bad a compromise. 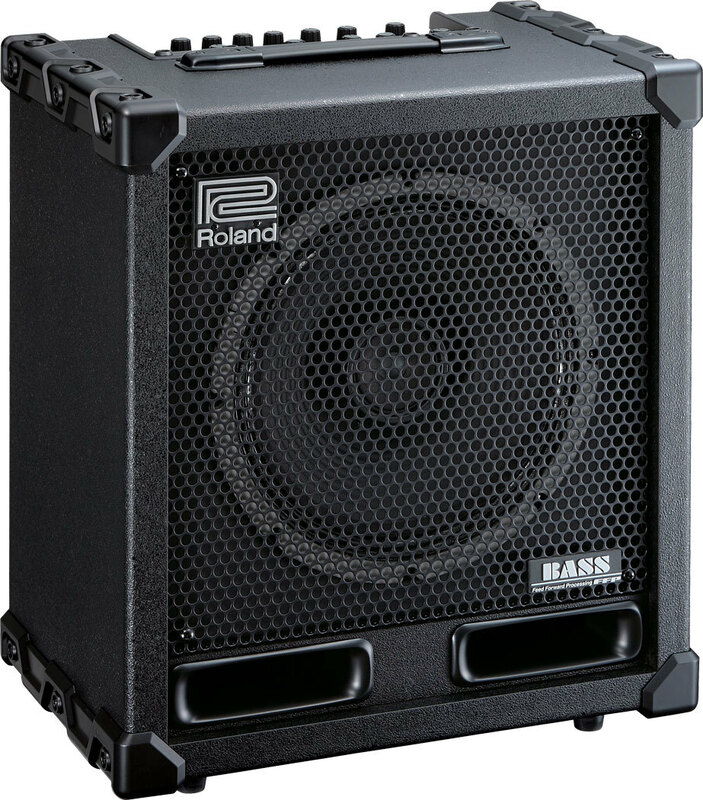 Less than 500 euros, I'm not sure there bass amp worthy of the name.